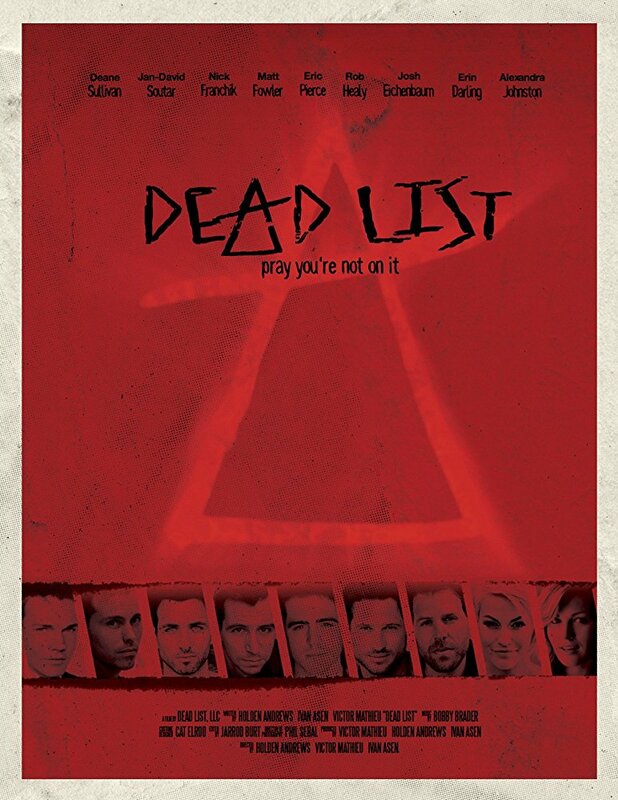 This is a trailer for the Dead List. From filmmakers Holden Andrews, Ivan Asen and Victor Mathieu, it stars Matt Fowler, Erin Darling, Lindsey Grubbs, Alexandra Corin Johnston, Nick Bandera, Rob Healy, Eric Pierce, and Josh Eichenbaum. . High Octane Pictures will release it on VOD May 1st, on DVD July 3rd, and SVOD on September 4th. Check out the synopsis and trailer below. "Calvin is competing with five other actors -- Zander, Scott, Kush, Jason and Bob -- for a major movie role. 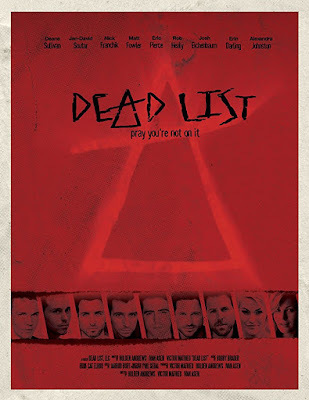 Stopping at nothing to win the role of a lifetime, he uses a demonic book to curse his fellow actors, with each actor being killed off in their own separate unique and terrifying chapter."